Kalika FM is a popular radio station broadcasting from Bharatpur, Chitwan, Nepal. Kalika FM provides various genres of music like Top 40/Pop and also airs news updates every hour. 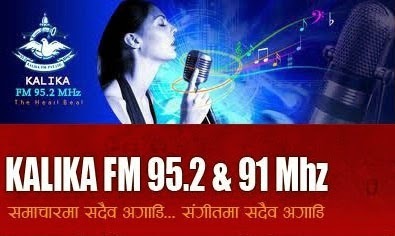 It is very much liked in different regions of Mid Nepal where no other commercial radios media can reach. It also arranges different types of programs to fit to the taste of listeners having different tastes so that their program reaches its target audience.